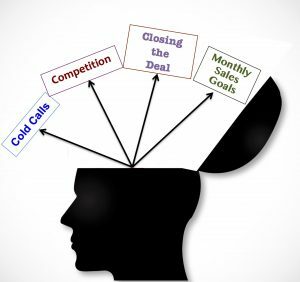 When Credit Managers Understand the Mind of Sales - Credit Mediators Inc.
It’s been said over and over that credit professionals should walk in the shoes of sales professionals and vice versa. Why is that so important? It’s because by experiencing each other’s challenges and frustrations, there will be a better understanding of what it takes to work together more effectively. But before we can even start putting on each others’ shoes, I think it helps to look at the characteristics that underlie the personality and thinking of each type of professional. Mind you, although I’m not a professional psychologist, I think my life time experience of navigating the dynamics of human relations from the perspective of sales, credit, and collections, has provided me with a few insights that I’d like to share with you. What is the meaning of a sale? Let’s face it, not everyone is cut out to do sales. For many people, like a hunter, the idea of having to go out into the forest with nothing but a bow and arrow and search for a moose, capture it, and bring it back, is not a job that is very appealing. That’s not a good or bad thing since some people are better at making the bows and arrows and others are good at cooking up the food. There’s always a place for everyone’s talents in an organization and it’s just a matter of where in the assembly line process those talents come into play. What does a sales professional always need to do? What are the main relationships that impact sales? In a sales professional’s quest to get the client, I feel there’s a relationship between the complexity and price of the product or service being sold and the amount of time before the sale is actually made. For products or services that are simple, purchases can be made almost in seconds or minutes. As the product’s complexity and price increases, the more time it takes to make the sale, which can roll into weeks, months, and even years. In addition, I also believe there is relationship between how a sales professional is compensated and how aggressively they will pursue their sales activities. Some sales professionals who have a great deal of confidence in their ability may opt to work strictly on a commission basis. From straight commission, compensation can range from a combination of all kinds of commission and base salary arrangements, to finally receiving only a straight salary. How sales professionals are compensated depends on their experience, the industry, competition, product types, and many other factors. Furthermore, there’s another relationship and that has to do with the credit risk and collection of the sale against the compensation the sales professional receives. I think we can all agree that if a sales professional’s compensation were directly tied to the customer’s payment, verifying the customer’s creditworthiness before the sale would be absolutely imperative. When sales professionals are involved in either evaluating the credit risk before the sales transaction as well as the final collection, they are much more inclined to work with their credit team. What are the traits of a sales professional? Having managed dozens of sales professionals over the years, I’ve observed some very positive traits, but also several traits that need improvement. On the side of strengths, traits that work well include: being personable, interactive, warm and friendly, extroverted, assertive, bold, positive, hopeful, enthusiastic, and a bit of risk-taker. On the side of weaknesses, sales professionals can often be noted for being pushy, overbearing, embellishing, a dreamer, short-term, and even a little bit reckless. Of course nobody’s perfect and if management can help sales professionals to expand on their strengths and improve on their weaknesses, there’s no question they can meet and exceed their goals and expectations. So how do sales professionals react when they’ve landed a big contract? I’ve seen reactions ranging from between from serene happiness to ecstatic euphoria. And how do they react when the big prospect (kahuna) ends up going to the competitor after months and years of dedicated pursuit? Once the trauma settles and the stages of loss from shock to acceptance are processed, many sales professionals will try to understand what went wrong, and through perseverance start out on the hunt once again. As credit and collection professionals, we may not quite have the feeling of the physical, mental and emotional challenges that sales professionals often deal with and that’s often because our responsibilities entail a different set of challenges that are equally as difficult and stressful. But when we can appreciate the work that will often go into keeping the company’s engine running, we can then figure out the credit and collection options, tools, and strategies that will continue to support the sales function as effectively as possible.